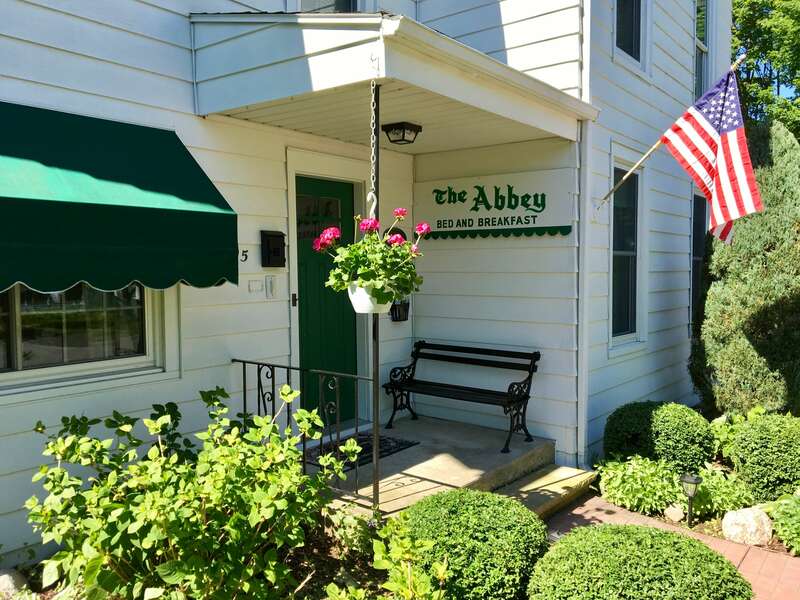 Enjoy the charm of Pentwater Abbey Bed and Breakfast, located across the street from Pentwater Lake, three short blocks from Lake Michigan and just one block from downtown shops and restaurants. 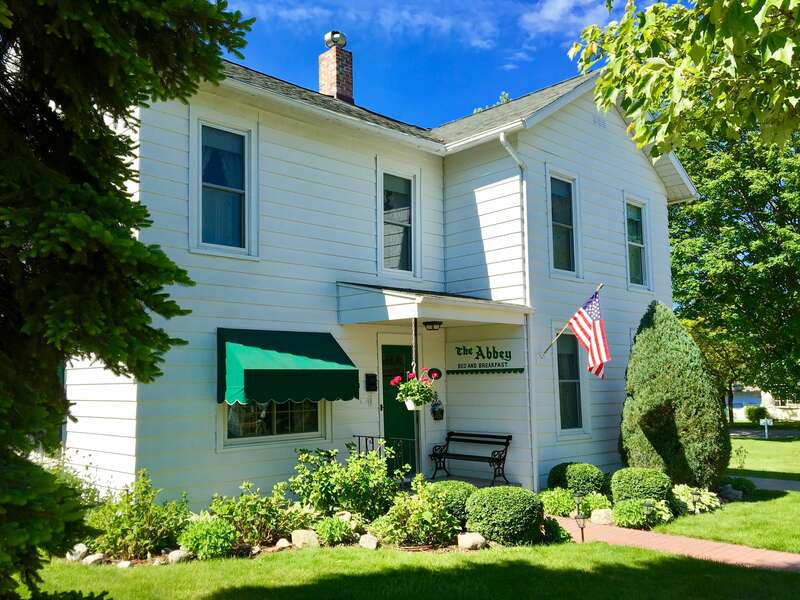 Put the details of your comfort into the hands of one of Michigan's most experienced B&B innkeepers. 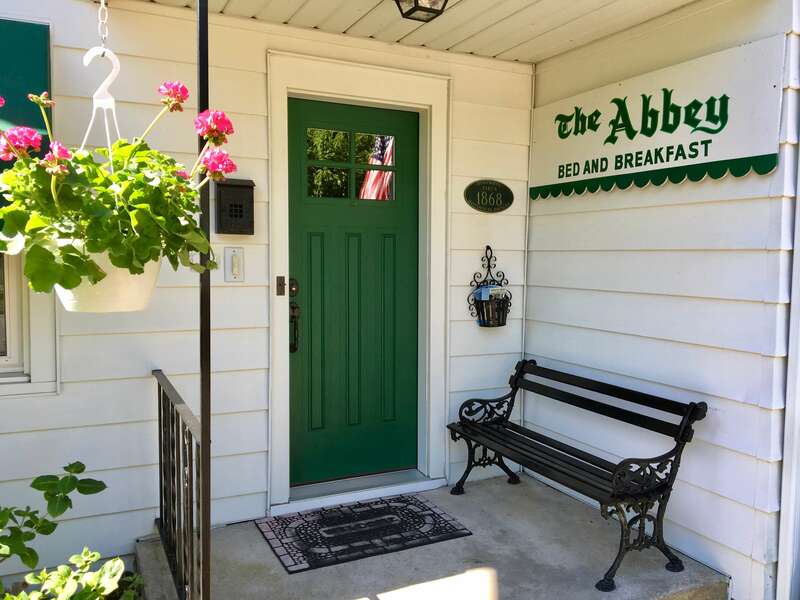 We're going into our 31st year as a bed and breakfast! The Pentwater Abbey was built in 1868 and we're proud of its Victorian heritage. 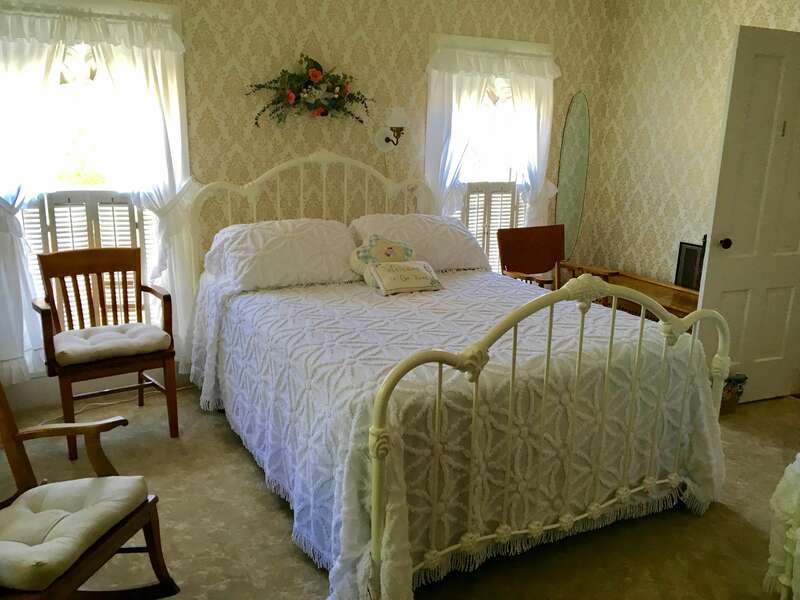 Staying here offers both the charm of a step back in time and the contemporary convenience of each guest room having its own large private bath, cable TV and WiFi. 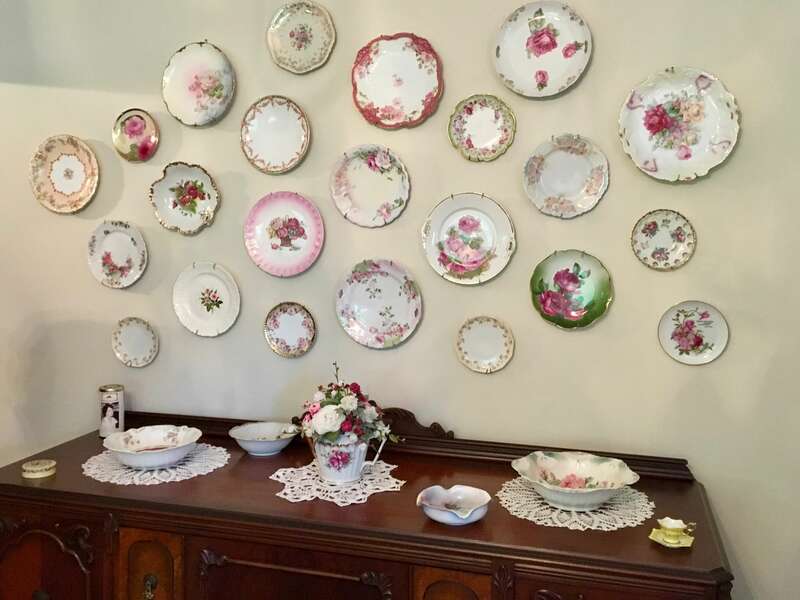 The love of antiques and Victorian ambience is seen throughout, such as in the floral rugs, carved fireplaces, clawfoot tubs, lace and antiques. In fair weather, after a full breakfast, stroll the gardens surrounding the house, enjoy outdoor seating or take one of our bicycles to explore the area. Guests often comment on our great location: one block from downtown, across the street from Pentwater Lake and three blocks from Lake Michigan. Miss Buell's Room. Extra roomy and outfitted in country blue featuring antique oak furniture and white wrought iron beds. It offers a queen and twin beds. Aunt Emily's Room. Cozy country decor with a candy-stripe rug and Aunt Emily's furniture. 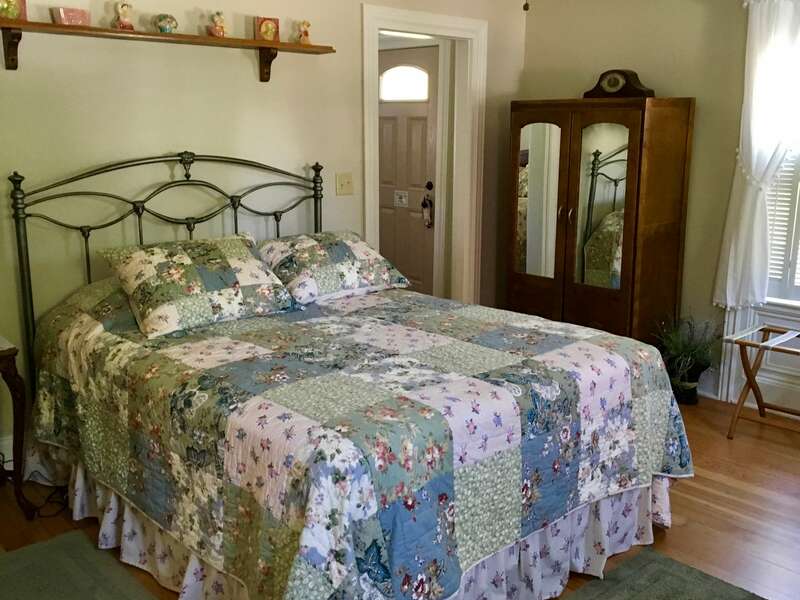 It features a queen bed and a private bath just across the hall. Classic Rose Room. Reflects romance in the furnishings and wallpaper. Honeymooners often choose this room with a queen bed.